For this edition of "Notations For the Week_End" we hope this selection is of interest courtesy of +Orange County Council Boy Scouts of America . We spent an hour stuffing his oversized backpack with everything he would need: Mess kit, head lamp, layers of wool. He asked six times if I was sure that the drop-off time for the trip was five o'clock. Four times he reminded me, or himself, that he would not be able to text or call. As I grabbed the car keys, he fastened the last clip on his bag with shaking hands, which he then clumsily stuffed into his front pockets. "Ready?" I said with a smile. He nodded and placed his hat on his head. In the parking lot, the other Boy Scouts greeted him with smiles and high-fives. He dropped his camping gear in the growing mountain of oversized bags. The pack leader gathered them in and began the prep talk for their camping trek in the caves of upstate New York. Liam glanced over at me and mouthed the word, "Stay," when he saw me glancing at my watch. When the debriefing was over, they returned to their gear to get their hats and gloves as instructed. But Liam had missed the instructions while he was keeping his eye on me. He nervously asked me under his breath what he was supposed to be doing. "Get your hat and gloves," I said quietly, "just stop and think for a minute and you'll remember where we put them." I could feel a presence behind me. "Mom," it said, "I'm going to ask you to step back and let Liam handle this himself. He's got it from here." I turned and glanced sheepishly at the Scoutmaster as waves of emotions overcame me. My mama bear instincts started to rare their ugly head and I wanted to say, "Listen, buddy, do you have any idea what this kid has been through in his life? Did you see that bag of medications I handed you? Do you think those are just children's aspirin? Don't tell me..." I instead chose to stop the outrage in its tracks, smiled, said OK, and took a step back. But I still thought in my head, do you know? Do you know that this boy was born a month too soon? Do you know that in the hospital, I watched him through the glass as warming lights and IVs gave him the things that I couldn't provide? That when he was an infant he cried incessantly and barely slept? That I was the only one who could calm him down? Do you know that when he was a toddler, it became glaringly obvious to me that his brain worked differently? He had no sense of danger. He ran away in parking lots, stores, the beach. He repeatedly banged his head on walls. He ate crayons and sticks. He went through life like a hurricane and all the recommended parenting strategies fell short in helping him. Do you know that after years of trying to get help, and after he was kicked out of regular preschool because they "couldn't meet his needs," that I waited six long months to see a top specialist? Do you know that when he was 3, I drove for over two hours in a snowstorm with Liam screaming in the back seat to get to that appointment, come hell or high water? Do you know that that was the first day I heard the word "autism" and my child's name in the same sentence? 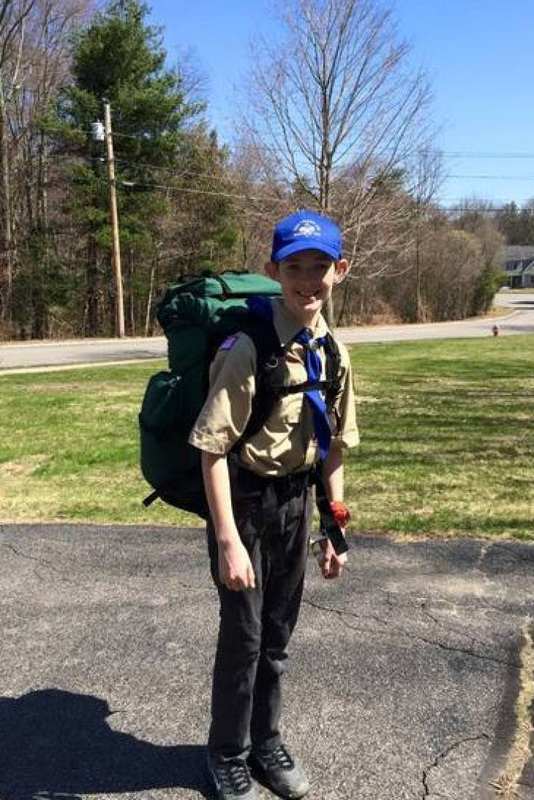 Click here to finish "The Boy Who Couldn't Be a Cub Scout"